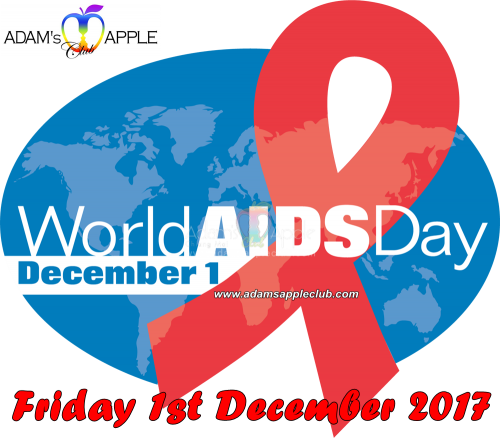 World AIDS Day 2017 slogan “Everybody counts“: WHO will advocate for access to safe, effective, quality and affordable medicines. 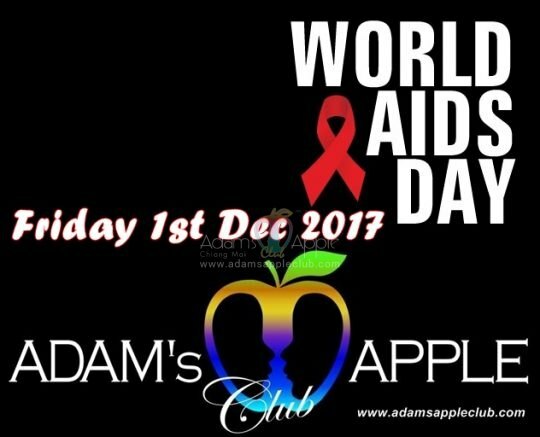 Adam’s Apple Club Chiang Mai supports the World AIDS Day and dedicates the fight against AIDS to Friday evening December 1st. Adam’s Apple Club is one of Thailand’s oldest gay go-go bars and the best known gay bar in Chiang Mai. The club is located on Viangbua Road in Chiang Mai’s Chang Puek district to the north of the city center. Adam’s Apple Club is located on Viangbua Road in Chiang Mai’s Chang Puek district to the north of the city center, just off Chang Puek Road, opposite the Garden bar at Lotus Hotel and close to Thanin Market.